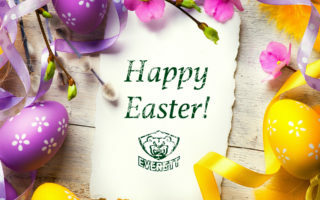 EVERETT, WA – Everett Silvertips goaltender Austin Lotz was one of 22 players announced to the 2012 Team West roster for the World Under-17 Hockey Challenge by Hockey Manitoba and Saskatchewan Hockey Association. Originally slated for Winnipeg but moved due to the return of the Winnipeg Jets, the 2012 World Under-17 Hockey Challenge will be held December 29 – January 4 in Windsor, Ontario. 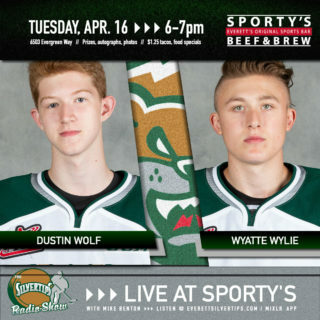 Lotz, 16, is currently in his rookie WHL season with the Silvertips. The St. Adolphe, Manitoba native earned his first career victory Saturday against Prince George, making 21 saves in a 3-2 win over the Cougars. In his three starts for Everett this year, Lotz has compiled a 2.70 goals-against average and a .933 saves percentage. 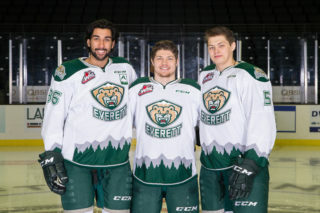 Also making the Team West roster is Silvertips prospect Geordie Maguire. The Winnipeg-born forward, who was Everett’s fifth round selection (#106 overall) in the 2010 WHL Bantam Draft, has 29 points (17g/12a) in 15 games for the Winnipeg Wild of the Manitoba Midget AAA Hockey League this season. Team West is annually comprised of 11 players from Manitoba and 11 players from Saskatchewan. 12 of the 22 players named to the team this year are currently playing in the Western Hockey League. Team West will compete in Pool B with Team Pacific, Team Czech Republic, Team Russia, and Team USA. Pool A will feature Team Atlantic, Team Quebec, Team Germany, Team Sweden and last year’s champion, Team Ontario. 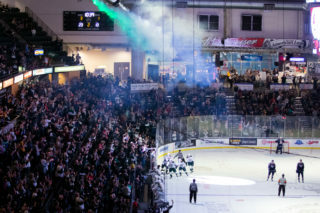 The Silvertips will continue a six-game homestand this Friday and Saturday against the Portland Winterhawks and Vancouver Giants at Comcast Arena. Group tickets and mini-game packages can be purchased in person at the team office inside at Comcast Arena or by phone at 425-252-5100. 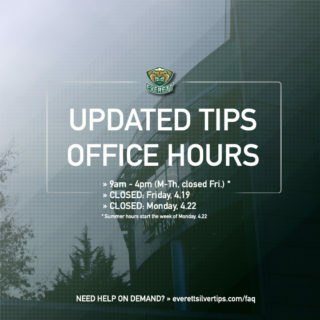 Single game tickets are on sale by phone (866-332-8449), online (comcastarenaeverett.com) or at the Comcast Arena box office.